I was eighteen years old, new in London, and eager for blues and related art forms, when I was lucky to wander into the 100 Club on Oxford Street, in, I think, October 1977, to see the New Orleans pianist James Booker. ‘Lucky’ is an understatement. I had the night pegged as the gig of my life at the time, and nothing I’ve seen since has knocked it off its pedestal. I knew Dr John - In the Right Place was already a firm favourite - and I dug ‘I Want to Walk You Home’ and ‘Walkin' to New Orleans’ like everyone else, but these didn't quite prepare for James Carroll Booker III. Introspection, vulnerability, self-examination and soul-baring emotion are not what you associate with Fats, Little Richard, Lee Dorsey and the rest. What Booker offered was outside my experience of New Orleans music. Sure, he took the piano style of Professor Longhair to new heights of virtuosity, but he offered something else: ‘gumbo’ as a secret source of healing power, perhaps. Support came from Brett Marvin and the Thunderbolts (two sets from the Thunderbolts; two sets from Booker) but I only had eyes for Booker. He certainly cut a dash, with a star on his eye-patch (he lost an eye through shooting bad heroin, it was said), and a diamond on his front tooth that flashed in the spotlight every time he smiled, or, just as often, grimaced (it was hard to tell which was which). The mystery was how anyone could acquire such musical skill and be so comprehensively, mortally wrecked when either would be a lifetime's accomplishment for lesser mortals. The concert coincided with a sustained acid flashback on the part of the performer, of which we were treated to a running commentary as he played. Innocuous songs took on a new harrowing force. ‘Lonely Avenue’, the Ray Charles tune, was not a boy-loses-girl song, as previously supposed, but was transformed into a graphic trip through cold turkey. The entire performance was driven by freakish, fantastic anxiety. It was impossible to foretell what the maestro would play or say next. Fats Domino and Dr John tunes were strung together. Or should I say, ‘strung out’ together: addiction was a running theme. ‘Right Place, Wrong Time’ itself became a boogie-woogie rollercoaster ride that communicated elation, danger and panic in lightning succession, with the extreme mood swings that typify junkiedom: “I was in the right place, it must have been the wrong time / I said the right thing / Must have used the wrong lines…" And, in keeping with his confessional tone: “It was the right arm / I must have used the wrong vein.” ‘Junco Partner’, the ultimate doper anthem, was given a hell-bent, demonically gleeful delivery. Dark secrets emerged. It seems he sold ‘So Swell’ to Aretha. The disclosure made perfect sense. ‘So Swell’ has the pay-off line: “You're so swell when you're well / You've just been sick so long.” Vengeful self-loathing was never Aretha's thing, whereas Booker made it his own. The piano-playing was incomparable. Imagine Professor Longhair raised to the level of Liszt, larded with unlikely motifs and quotations. The Woody Woodpecker theme and Flight of the Bumble Bee surfaced with obsessive regularity. And whole tunes, not just licks, were repeated. ‘Please Send Me Someone To Love’, which equates personal loneliness with nuclear holocaust, received two airings. It was as if Booker had been forewarned that this was his last night on earth. 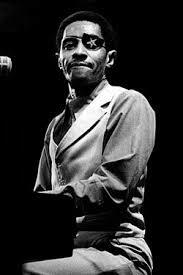 In fact, he finally shuffled off to boogie-woogie heaven six years later, in 1983, at the age of 43. The spirit of that night is most faithfully captured on The Piano Prince From New Orleans and Blues & Ragtime From New Orleans, two live LPs recorded in Germany on a tour the preceding year. He's sporting an Afro on their respective covers, whereas I remember him as he appeared on the cover of Boogie Woogie & Ragtime Piano Contest, recorded in Zurich on the 27 November 1977, and in the picture that heads this blog, with the distinctive star eye patch, which he's also sporting on the cover of Junco Partner, Island Records, 1976: the definitive studio album, not that I would pass on anything by Booker. 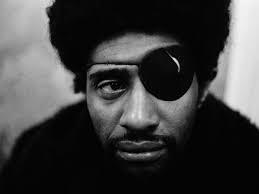 James Booker: Manchester 1977, was recorded at Belle Vue Manchester the same week as the 100 Club appearance. The backing musicians, including Norman Beaker and Dave Lunt, contrive to iron out Booker's idiosyncrasies, but it’s a worthy document (on Document Records actually). However, Booker had evidently come down from the acid. And now comes a documentary film, Bayou Maharaja – of which I’ve heard glowing reports. 'Bayou Maharaja' looks set to join all those other titles, like ‘The Piano Prince of New Orleans’, ‘Little Chopin in Living Colour’ and ‘Black Liberace’, which so signally failed to attract attention in his lifetime.